Oh my Bowjois! I never thought I'd see the day! 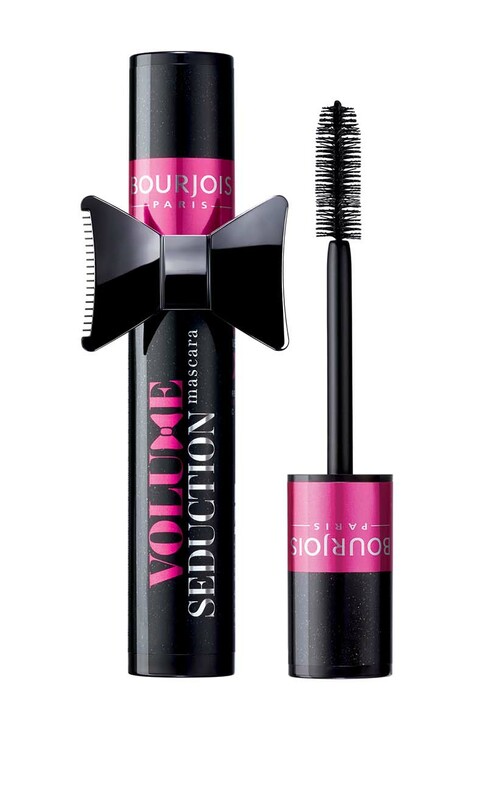 Bourjois Volume Seduction Mascara, with a bow on top! It is supposed to be an eyelash curler. But it also looks like it's doubling up as a mascara guard to prevent smudges on eyelids. I can't wait to get my hands on it! It's only launched in France right now, so it'll take sometime to reach the UK. Hopefully, soon. THIS MONTH, please! what a cute mascara tube! I really love your makeup tutorials, can't wait to see more posts from you! Package looks cute but is just gadget like this huge brush in Avon Mega Effect Maskara.